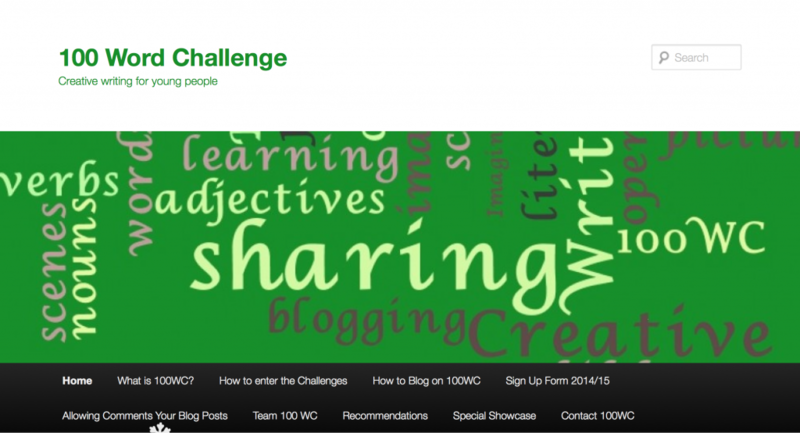 Founded by Mrs Julia Skinner, the 100WC is a weekly creative writing challenge for children under the age of 16. Each week, a prompt is given to which the children are challenged to respond through a 100-word creative text. The children’s entries are commented on by teachers from the 100WC team (which I am a part of). These teachers may be from any part of the world. Students are also encouraged to read entries from others and comment on these entries in a supportive fashion. One of the most powerful aspects of the 100WC lies in the comments that children receive regularly on their writing. For our students, this creates a sense that their writing is worthwhile and it motivates them to try their best for their global audience. Therefore we would love to receive as many comments on the children’s work as possible! Please take the time to read our commenting guidelines; being able to write constructive and interesting comments is a big part of becoming a successful blogger and our students all learn and practise this valuable skill regularly! Please note that, in accordance with our blog guidelines, all comments are approved by me prior to publishing on the blog. This is a safety measure that ensures that no inappropriate comment may ever be posted on our blog. Hi, I really liked your story and it made me feel goo….oooooo…ooooo…d about school. Maybe you should add more on what you think. Hello I liked your story it made me feel ready for school. Hi my name is annie and i love your stiry because i like the way you set it all out. Hi there. I’m really interested in having my students participate in the 100WC. How can I become involved? I too have an edublog and I’m trying to make the best of it and use it differently than I have over the past couple of years. I don’t see any challenges here so I’m assuming I would find them on their own blogs? Thanks so much Mrs. Pratt. Hi Sarah, I have sent you an email.